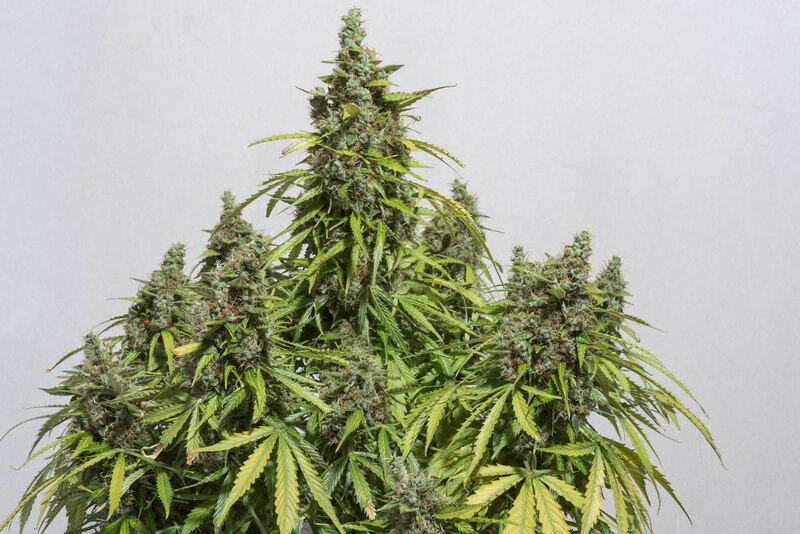 Original Mazar is a legendary prize-winning variety which needs no introduction; we crossed this with an indica-dominant auto to create Auto Mazar®. The plants typically reach 70-80cm, they grow strongly and yield extremely well. 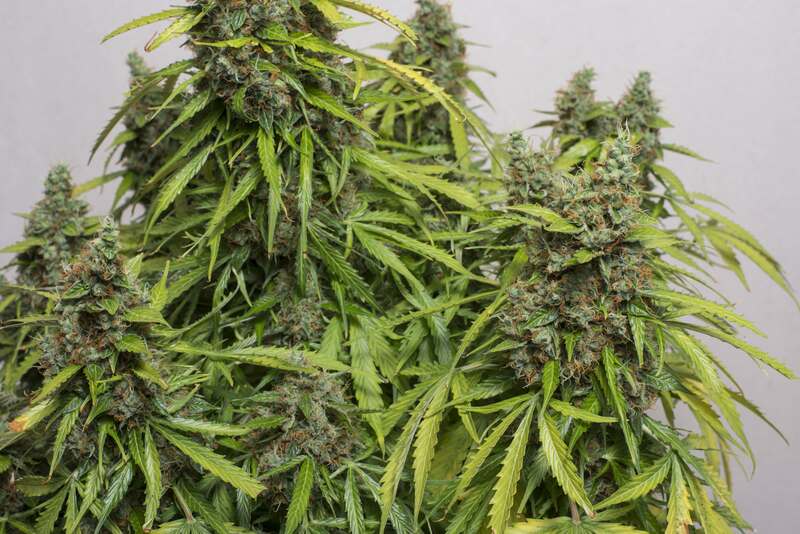 New growers often crop 50g+ of sticky potent bud per plant. 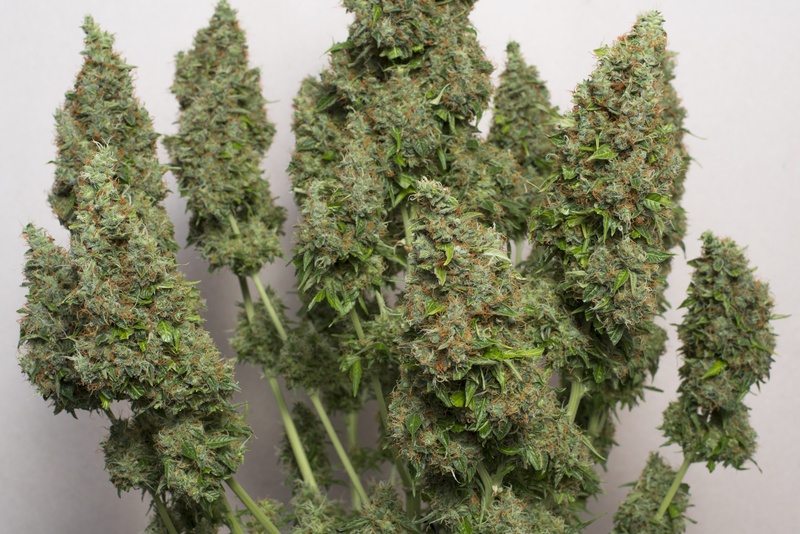 Experienced growers routinely crop 100-200g+ per plant especially in hydro systems. The best result so far is 900g. Auto Mazar were the first beans I ever bought. Looked like a good beginner strain for my organic super soil / cob setup. Easy germ/sprout. Couple days each. They (2) weathered a transplant, adverse climate, light stress, and stunted roots (my bad, learned from it.) This resulted in multiple deficiencies, chlorosis, and a month of suspended animation mid- flower. They held on tight, and responded well to intervention, (Roots Organics), with new green growth and an awesome explosion of pistils. Pencilled them in for another month to make up for lost time. Flowers finally fattened, pistils (fluffy, most ever!) took on a rich deep orange-red, trichomes transitioned. Day 120(!). CHOP. First plants of any kind for me! Formidable challenges. Beginners mistakes. Learning curve. RESULTS / YEILD: 2 VERY forgiving plants, cleaned up and cured. Burnin' smooth, makin' friends. I am 9 weeks into my auto mazaar grow. I germinated the seed no problem. It popped in 2 days. I cut the bottom off a large pot and put it directly in the ground. Filled the pot with good soil and pearlite. The plant has stopped growing at 16" and is flowering. It looks very healthy. No yellow leaves. But at least 3 weeks to go. I am in North West Europe. Wet windy climate. I probably won't get anywhere near 50g. I'd love some advice on bulking her up. I've fed her small amounts of veg nutes and have recently moved to flowering tomato nutes. I am quite disappointed that the strain takes so long.Today is the beginning of WEEK 14 and Flowers are STILL NOT FULL OR RIPE. I will be forced to harvest in one week, so a flush has been started. 210 watts actual draw LED. 2 plants, in soil with light nutes. 2 pheno's.The first germed in less than a week and grew fast at the beginning, very slow in the end, but with fantastic purples during flowering. The second one really struggled to germinate, and was about 2 weeks behind in growth. Grew taller during flower, and maintained a green colour. I still have 5 seeds, so we will see what happens next run, but judging from this one this strain might not be worth the extra month and electricity for the estimated yield of less than 1oz each. Is this strain very smelly one? Looking at getting some in the greenhouse next year. Thanks. Grown in the hills of kentucky. This is mold pest and general idiot proof. Kentucky can have high heat to cool nights didnt faze it .highly recommend for ky growers. just harvested 2 automazar,outdoor grown in polytunnel,coco with a+b and canna boost. took a bit longer,approx 85 days but i have to say they look fantastic,massive christmas trees covered with crystals,large calyx-best i've ever grown,wont be going back to regular seeds. now waiting for autocolorado to finish....... thankyou guys !! Hi, can I grow Automazar indoors with other non-automatic strains? My question is how will Automazar flower during 12/12 cycle? Is it enough for this strain? I know that usually it grows and flowers in 18/6 cycle. A solid strain, from a great seed bank ! I had reason to contact customer services and was treated quickly, fairly and will gladly recommend Dutch Passion to anyone. Top marks. Happy Camper - its a question of personal taste whether to lollypop or not (i.e. remove lower branches). Some experienced growers always do it. AutoMazar is such a tough variety that she can take it ! Fantastic plant that I grew before and got 2.5oz per plant under a 250 watt. Can you tell me if it's worth doing lollipop with this or is it not recommended?? My first go at autos. I grew 2 and trained them just like photos. I topped, tied and trimmed them for a flat canopy of about 30 tops each. They finished about 30" high and took a bit longer at 77 days and 84 days each (don't want to rush the girls!). Dry weight of 219g and 229g! When the say this is a "robust strain" with "tremendous yield" it is true! And a very nice Indica body effect. Thanks Dutch Passion. Hello, i grew automazar 2 years ago and it's a good one except its flavor . It hasn't the fine taste of the classical mazar i've already grown before,this good hashish smell very enjoyable . The 2 strains came from the same seller dutch passion. I have to agree with the other reviewers - solid indoor grower! There is a lot you'll see on the Internet about the world famous yields one grower obtained and, having seen 4 of these grow in person I can believe it's possible - anyone that says otherwise thinks the world's flat or the moon is made of cheese (not the exodus or garden type!). Anyway, for new growers worried about hype and faced with making decisions about where to spend your money - forget the rest, this will get you started and you'll quickly find your feet with DP Auto Mazar, I only wish we could all grow more! So don't forget, no need to put money on a bet, have a go with Auto Mazar, you'll see for yourself, this is a great cultivar! AutoMazar was the first auto I grew and I never realised they grew as big with so much bud. Mine was done indoors with lights on for 20 hours each day. The plants were around a metre tall when grown in coco. I chopped them on day 70 which is what DP recommend and got a good couple of ounces off each one, I was well chuffed with the result.